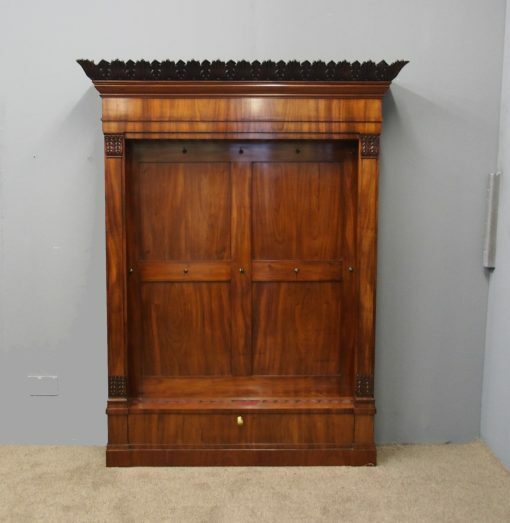 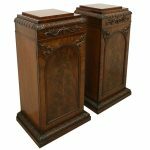 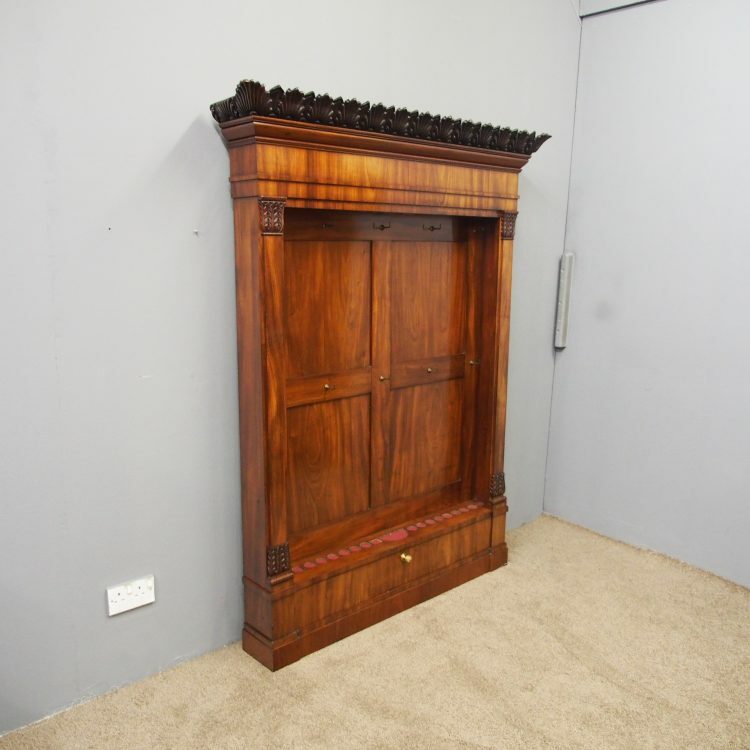 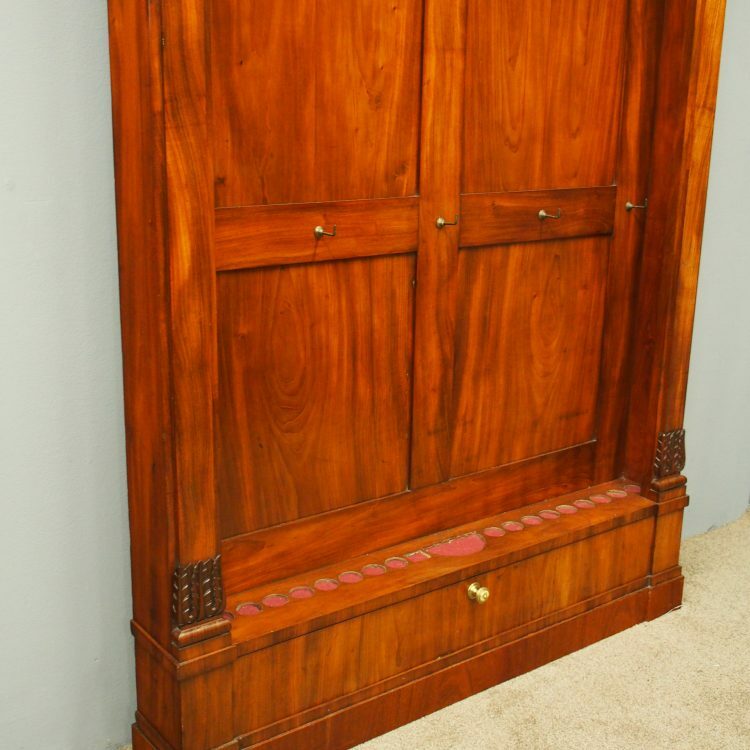 Circa 1840, rare William IV mahogany cue rack or stand. 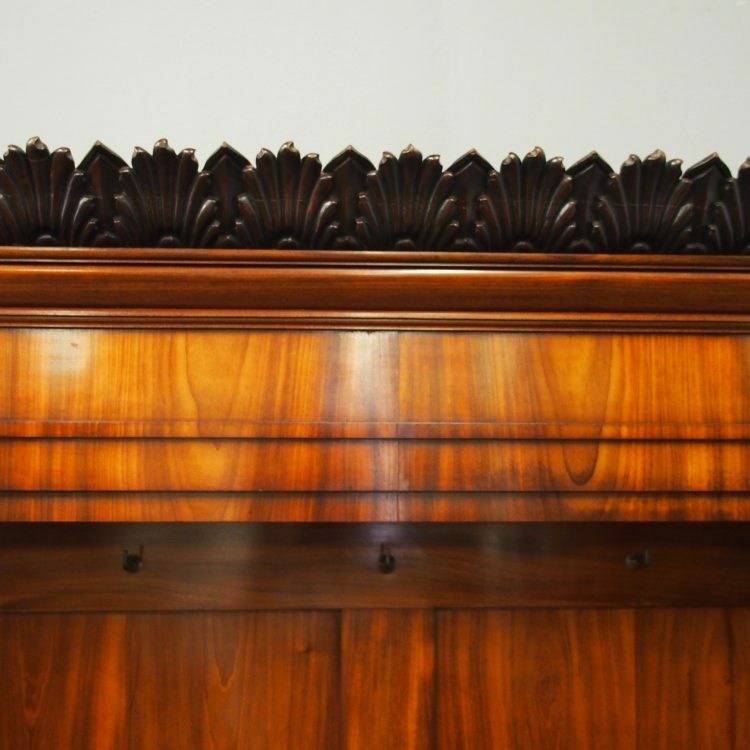 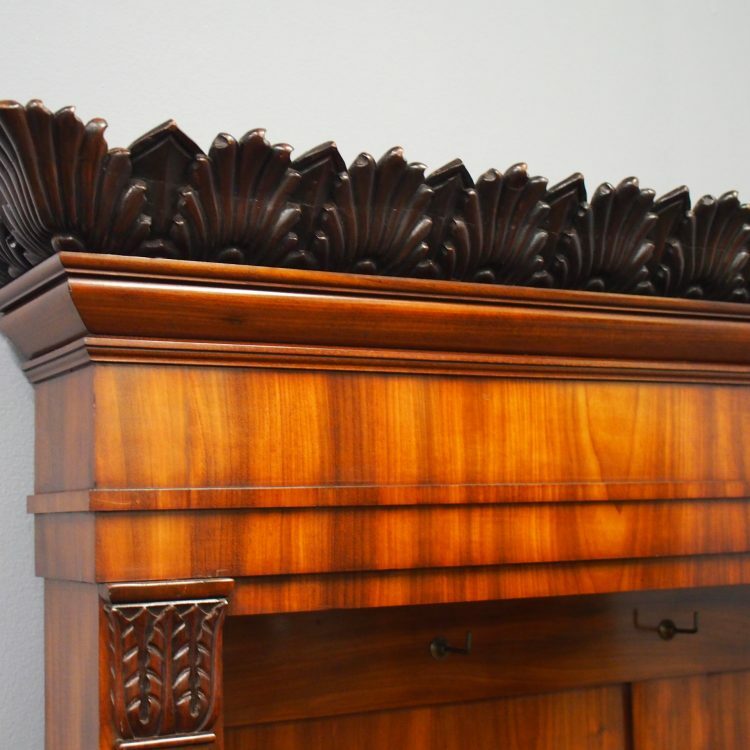 With a hand carved, acanthus leaf design to the pediment and cornice above a shaped flame mahogany frieze, leading on to further acanthus leaf carving to the pilasters either side. 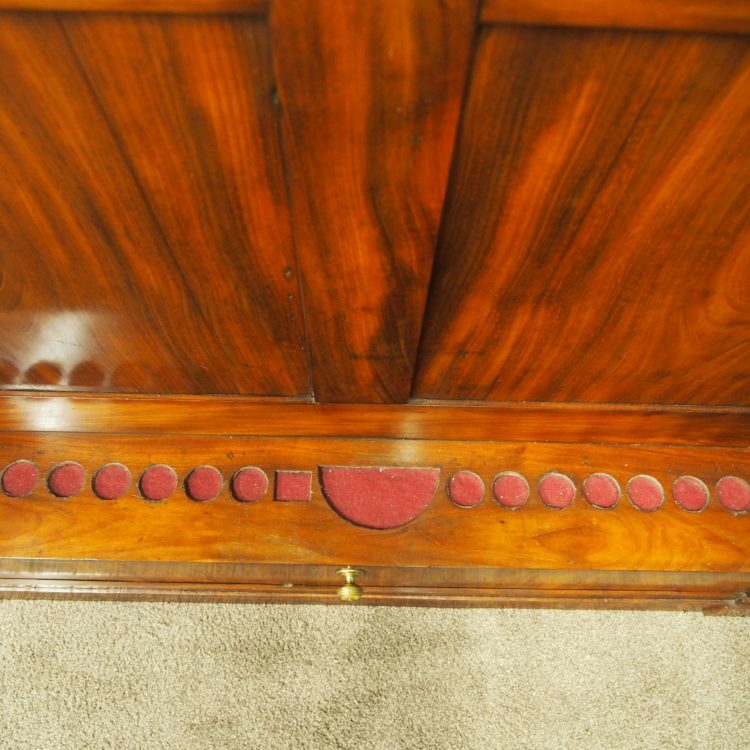 The recess is in matching flame mahogany veneers placed in 4 polished panels, and to the base are cut out apertures for the cues. 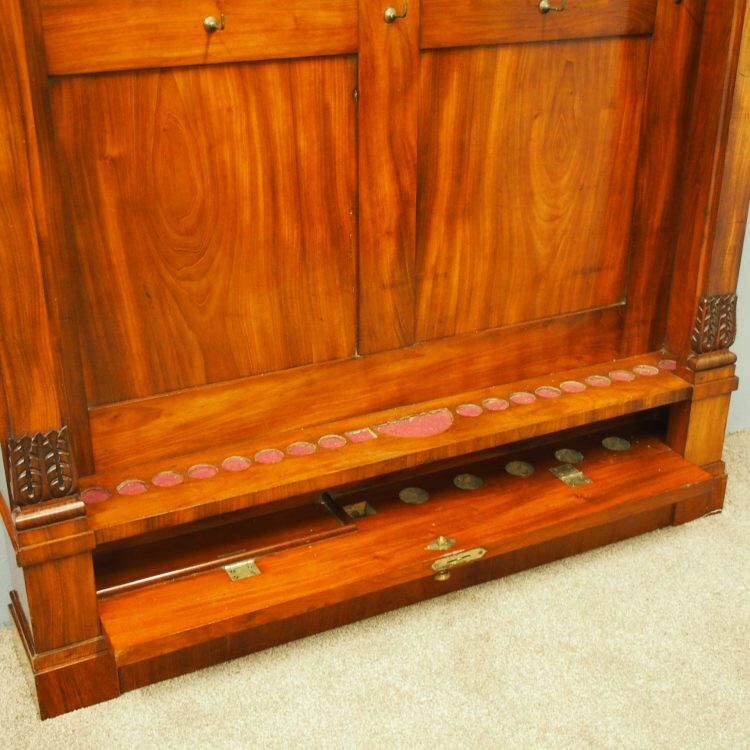 Ten brass hooks are applied to the back, and to the base is a full length door, providing further storage for the cues, and on an enclosed plinth.